Board meeting documentation remains an ongoing hassle for charter school board members and school leaders. 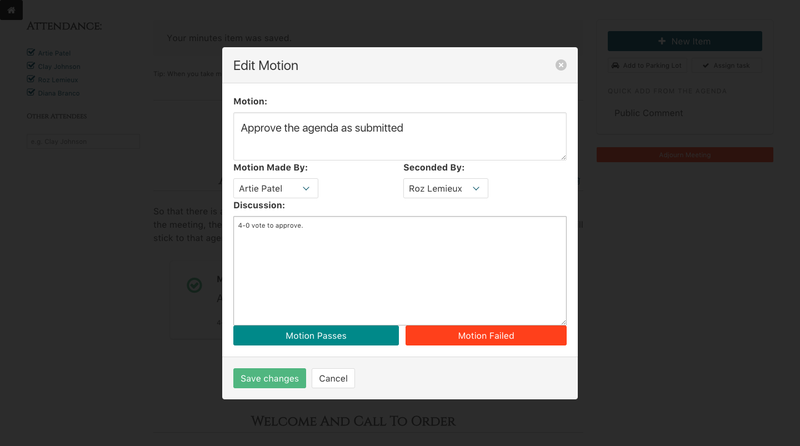 Charterboards makes it easier to create and organize board meetings documents, all in one place. and minutes from a single application. 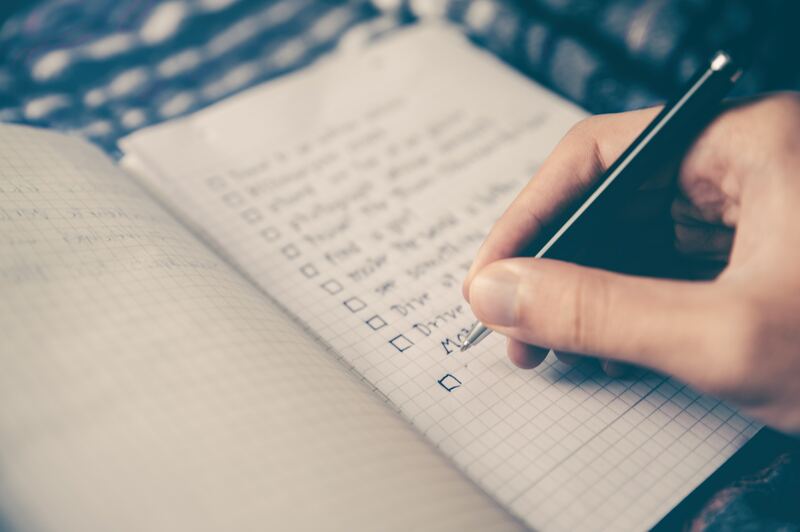 Plan ahead, stay in compliance, and hold productive meetings. No more battling word docs, managing multiple folders, or email back and forth. Create and organize meeting documents from a single application. Plus, you can access everything online and reduce printing expenses. No more jumping through hoops to stay in compliance. Easily create, share, access required documentation to avoid compliance issues and simplify charter renewal. 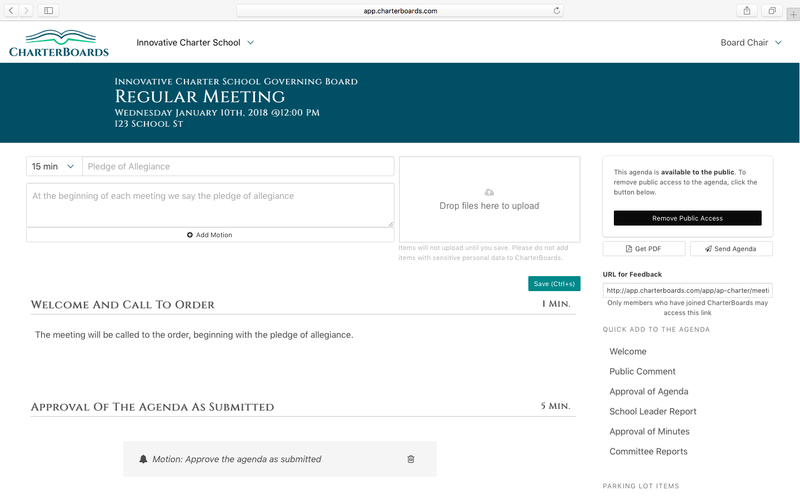 Provide board members an easy way to access and review the full board packet online. During meetings, focus on the key issues related to the school and spend less time taking minutes. No more dealing with the hassles of board meeting documents. That means less time spent jumping through hoops, and more time spent on academic achievement.